Officials on Tuesday broke ground for another dream road project that would ease traffic congestion in this province. Bulacan 2nd District Rep. Gavini Pancho, together with Balagtas Mayor Eladio Gonzales Jr., Vice Mayor Alberto Carating II, and Department of Public Works and Highways (DPWH) District Engineer Ruel Angeles, led the groundbreaking ceremony for the Balagtas Northbound Exit in Barangay Borol 2nd here that is included in the Plaridel Bypass Northbound Exit project worth P33,321,345.28. The Balagtas Northbound Exit is one of Pancho’s priority projects. “The dream of President Rodrigo Duterte and DPWH Secretary Mark Villar has come true that infrastructure projects will be provided in each district. This will give more opportunities not only in Bulacan but also in Metro Manila,” he said. Pancho also said that the new road project will give new faces to the province of Bulacan. 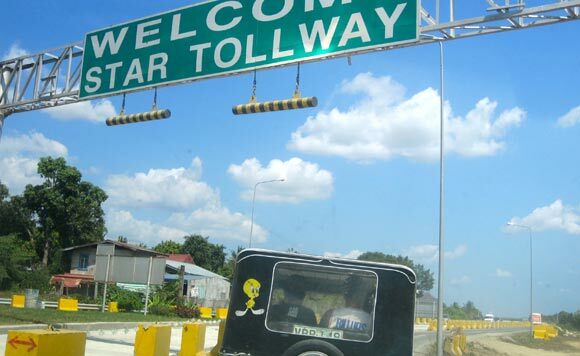 Gonzales, meanwhile, said the Balagtas Northbound Exit will benefit not only Balagtas but also the towns of Guigunto, Plaridel, Bustos, Angat, and Pandi.